This portal is manually maintained by Armanaziz. Please contact these user(s) when you plan to make significant changes. Dictionaries from the early 20th century attributed about 25% of the Bengali vocabulary to native words (i.e., naturally modified Prakrit words, corrupted forms of Aryan words, and Native Austro-Asiatic e.g. Munda (non-Indo-European native languages). About 7% percent of Bengali words are unmodified Sanskrit, and the remaining words are from Persian, Arabic, Turkish, English, Portuguese, French, and other languages. Dominant in the last group was Persian, which was also the source of some grammatical forms. More recent studies suggest that the use of native and foreign words has been increasing, mainly because of the preference of Bengali speakers for the colloquial style. Sitakunda is most noted for its numerous religious shrines, of Islamic, Hindu and Buddhist denominations. It also happens to be the center of world's largest remaining ship breaking industry. Do you know where in Bangladesh is Sitakunda? Sitakunda is an Upazila under Chittagong District in the Division of Chittagong, Bangladesh. It is located on the south-eastern part of the country on the shore of the Bay of Bengal. Patenga, a sea beach and popular tourist spot, is located 14 kilometres south of the port city of Chittagong, Bangladesh, near the mouth of the Karnaphuli River. The beach is very close to BNS Isha Khan Naval Base of Bangladesh Navy, and Shah Amanat International Airport. St. Martin's Island is a small island in the northeast part of the Bay of Bengal, about 9 km south of the tip of the Cox's Bazar-Teknaf peninsula, and forming the southernmost part of Bangladesh. It is the only coral island in Bangladesh. This picture features the dead corals of The Saint Martin's Island. Asian Pied Starling (Sturnus contra) is one of the 12 species of sturnidae family birds that are resident in Bangladesh. Locally known as Myna (Bengali: ময়না) or Shalik (Bengali: শালিক), these birds build their nests in holes or cavities in trees or buildings, or large globular structures of straw, twigs, etc. in trees. Magpie Robin, a very common bird in Bangladesh - locally known as Doyel or Doel (Bengali: দোয়েল), is designated as the National Bird of the country. Cox's Bazar in Bangladesh known for its wide sandy beach, is believed to be the world's longest (120 km) natural sandy sea beach. It is located 152 km south of Chittagong. The Khan Mohammad Mridha Mosque on Lalbagh road is situated less than half a kilometre west of the Lalbagh Fort, in an area called Atish Khana in old Dhaka. Two Persian inscriptions, one over the central archway and the other over the central Mihrab, speak of its construction during 1704–05 AD. Bandarban, one of the remotest districts of Bangladesh, is famous for the beauty of its hilly terrain. The numerous Buddhist temples and bihars in the town, Prantik Lake, Jibannagar and Kyachlong Lake are some more places of interest. Boat ride on the river Sangu is another attraction for tourists. This image shows the skyline of the district from the pouplar Nilachol resort managed by Bangladesh Parjatan Corporation. Somapura Mahavihara in Paharpur, Badalgachhi Upazila, Naogaon District, Bangladesh is among the best known Buddhist viharas in the Indian subcontinent and is one of the most important archeological sites in the country. It was designated as a UNESCO World Heritage Site in 1985. It dates from a similar time period to the nearby Halud Vihara and to the Sitakot Vihara in Nawabganj Upazila of Dinajpur District. Muslin is a cotton fabric of plain weave made in a wide range of weights from delicate sheers to coarse sheeting. This fabric used to be imported into Europe from India in the 17th century and was later manufactured in Scotland and England. Early muslin was hand woven of uncommonly delicate handspun yarn, especially in the region around Dhaka, Bengal (now Bangladesh). The picture depicts an 18th-century woman in Dhaka clad in fine Bengali muslin. Pohela Baishakh, is the first day of the Bengali calendar, celebrated in both Bangladesh and West Bengal, and in Bengali communities in Assam and Tripura. The most colourful New Year's Day festival takes place in Dhaka. On this occasion the students and teachers of Institute of Fine Arts, University of Dhaka take out a colourful procession and parade round the campus. This image shows a glimpse of the parade. St. Martin's Island is a small island in the northeastern part of the Bay of Bengal, about 9 km south of the tip of the Cox's Bazar-Teknaf peninsula, and forming the southernmost part of Bangladesh. There is a small adjoining island that is separated at high tide, called Chera Dwip. It is about 8 kilometres (5 miles) west of the northwest coast of Myanmar, at the mouth of the Naf River. In Bangladesh there are many tribal people live in Sylhet, Dinajpur, Cox's Bazar, Mymensingh, Rajshahi etc. But majority of tribal people live in the Chittagong Hill Tracts. This picture features a tribal kid with her little sister tied in her back at Farukpara, Bandarban, Bangladesh. Kaptai Lake is the largest man made lake in Bangladesh. It is located in the Kaptai Upazila under Rangamati District of Chittagong Division. The lake was created as a result of building the Kaptai Dam on the Karnaphuli River, as part of the Karnaphuli Hydro-electric project. The Kaptai Lake's average depth is 100 feet (30 m) and maximum depth is 490 feet (150 m). Ahsan Manzil, the official residential palace and seat of the Dhaka Nawab Family, situated on the banks of the Buriganga River. The palace is now a museum. 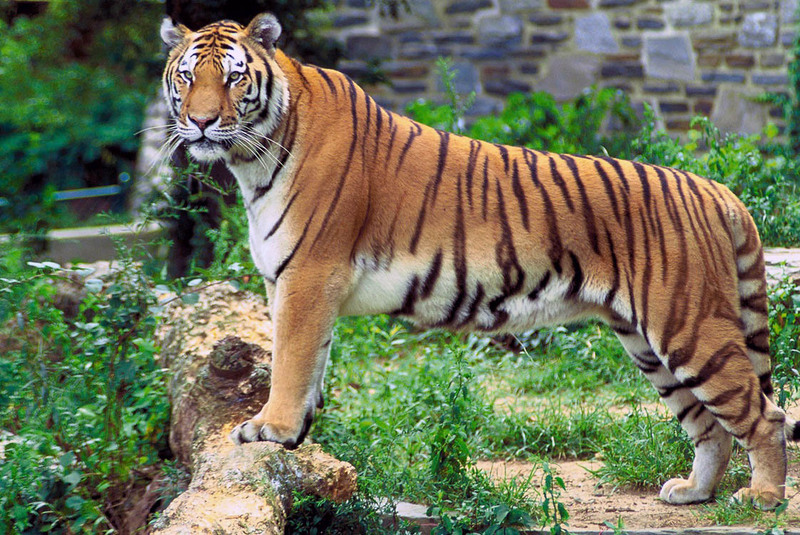 Bengal Tiger, the national animal of Bangladesh, is a subspecies of tiger primarily found in Indian subcontinent. In the Sunderbans, a 2004 census found the presence of about 280 Tigers on the India side & 500 tigers on the Bangladesh side. Jamuna Multi-purpose Bridge, opened in June 1998 connects Bhuapur on the Jamuna River's east bank to Sirajganj on its west bank. The 5th longest bridge in South Asia established a strategic link between the eastern and western parts of Bangladesh. Jatiyo Sangsad Bhaban is the National Assembly Building of Bangladesh, located in the capital Dhaka. It was created by architect Louis I. Kahn and is one of the largest legislative complexes in the world. It houses all parliamentary activities of Bangladesh. Durga Puja is the biggest festival of Hindus in Assam, Bihar, West Bengal, Jharkhand, and Bangladesh, and of Bengali Hindus all over the world. It is also called Akalbodhan, Vijaya Dashami, Dashain, and Dussehra. The image shows celebration of the festival at Dhakeshwari Temple, the national temple of Bangladesh. The District of Rangamati is a part of the Chittagong Hill Tracts and is one of the most beautiful districts of the country. Its beauty lies in the people, culture, landscape and lifestyle. The Hanging Bridge at Rangamti district, pictured here, is a famous landmark and tourist attraction of the district. Dhakeshwari Temple is a famous state-owned Hindu temple in Dhaka, Bangladesh built in the 12th century. The temple is located southwest of the Salimullah Hall of Dhaka University. Since the destruction of Ramna Kali Mandir in 1971 by the Pakistan Army during the Bangladesh Liberation War, the Dhakeshwari Temple has assumed status as the most important Hindu place of worship in Bangladesh. This image shows Shiva temple structures inside the Dhakeshwari Temple complex. The District of Rangamati is a part of the Chittagong Hill Tracts and is one of the most beautiful districts of the country. Its beauty lies in the people, culture, landscape and lifestyle. This picture featuring the skyline of Rangamati has been taken at Tabalchhori at BDR Rangamati. Shaheed Minar, or the Martyr's monument, located near Dhaka Medical College was established to pay the tribute to the martyrs of the Bengali language movement of 1952 and as such has become the center of commemoration of Language Movement Day, in Bangladesh on February 21 every year. Pari Bibi's mazar at the Lalbagh Fort, the center of Mughal military power in Dhaka and an intrinsic part of the history of the city, founded by Muhammad Azam Shah in 1678. This is a photographic reproduction of an original two-dimensional work of art by Francis Hayman (1708–1776) created in 1762. The artwork is showing Lord Clive meeting with Mir Jafar after the Battle of Plassey (1757). Hayman based much of the painting off of Indian miniatures, as he had never been to India and had no firsthand knowledge of Indian dress. The painting was displayed in Vauxhall soon after completion. Chomchom is a traditional Bengali sweet originated from Porabari, Tangail, Bangladesh. It is a very popular dessert in Bangladesh and India. The cuisine comes in a variety of colors, mainly light pink, light yellow, and white. It is coated with coconut or mawa flakes as a garnish. The sweet is oval and brownish. ...that the Buddha Dhatu Jadi (pictured), also known as Bandarban Golden Temple, is the largest Theravada Buddhist Temple in Bandarban, with the second largest Buddha statue in Bangladesh? ... that in 2010, Bangladesh became only the second country after Malaysia, among the developing nations, to have successfully sequenced a plant genome? ... that the Banglabandha inland port is aimed at increasing trade between Bangladesh and Nepal, India, and Bhutan? ... that James Long, an Anglican missionary in India, was jailed for publishing the play Nil Darpan? ... that on December 12, 1996, India and Bangladesh signed a 30-year treaty resolving the long-standing dispute over the sharing of Ganges Waters? ... that Binod Bihari Chowdhury, who died on 10 April 2013 at the age of 102, was the last surviving anti-British colonial revolutionary in South Asia? ... that a University of Michigan gymnast dubbed the "Golden Syque" won the first gold medal in international competition for Bangladesh and was chosen to compete in the 2012 Summer Olympics in London? ...that the Bangladesh Nazrul Sena, founded upon the philosophy of Kazi Nazrul Islam, pioneered the introduction of computer science and multimedia education for children at the kindergarten level in Bangladesh? Zāhir ud-Dīn Mohammad, commonly known as Bābur (February 14, 1483 – December 26, 1530) (Chaghatay/Persian: ﻇﻬﻴﺮ ﺍﻟﺪﻳﻦ محمد بابر‎; also spelled Zahiruddin, Zahiriddin, Muhammad, Bobur, Baber, Babar, etc. ), was a Muslim Emperor from Central Asia who founded the Mughal dynasty of South Asia. He was a direct descendant of Timur, and believed himself to be a descendant also of Genghis Khan through his mother. Following a series of set-backs he succeeded in laying the basis for the Mughal Empire.